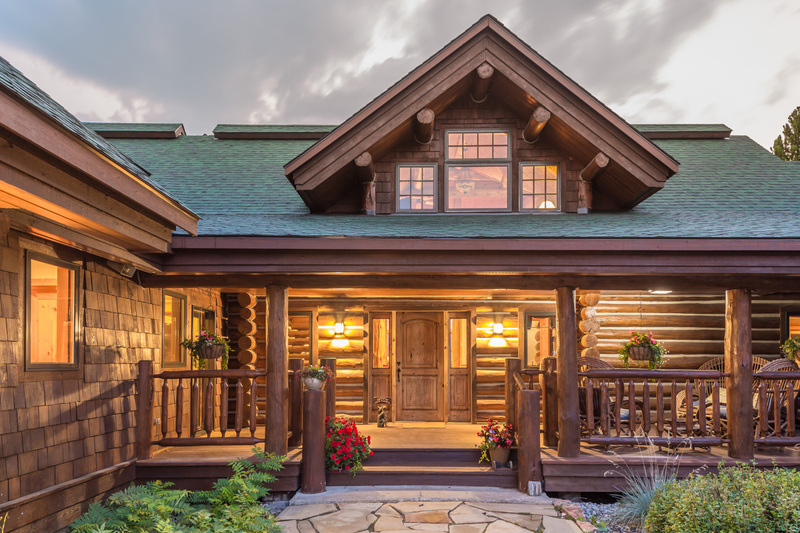 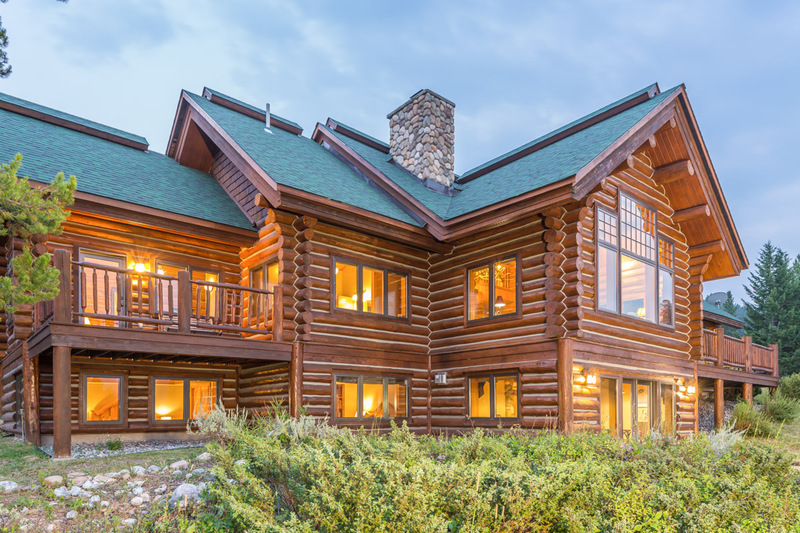 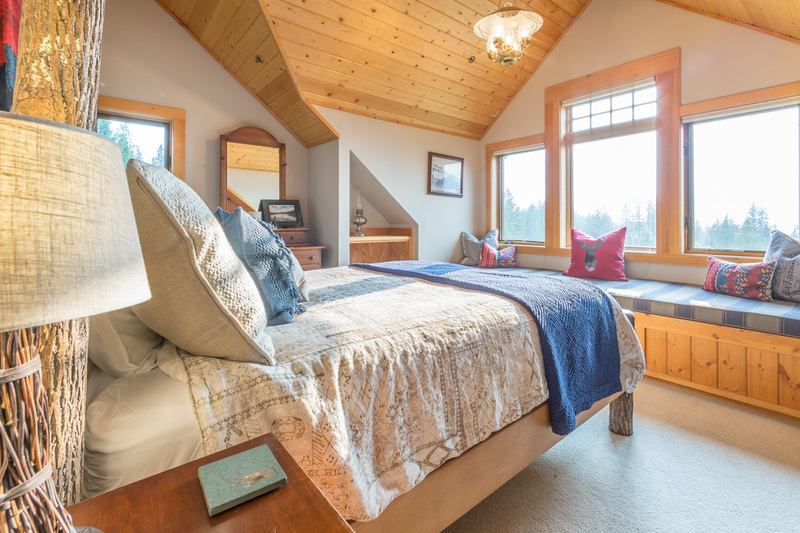 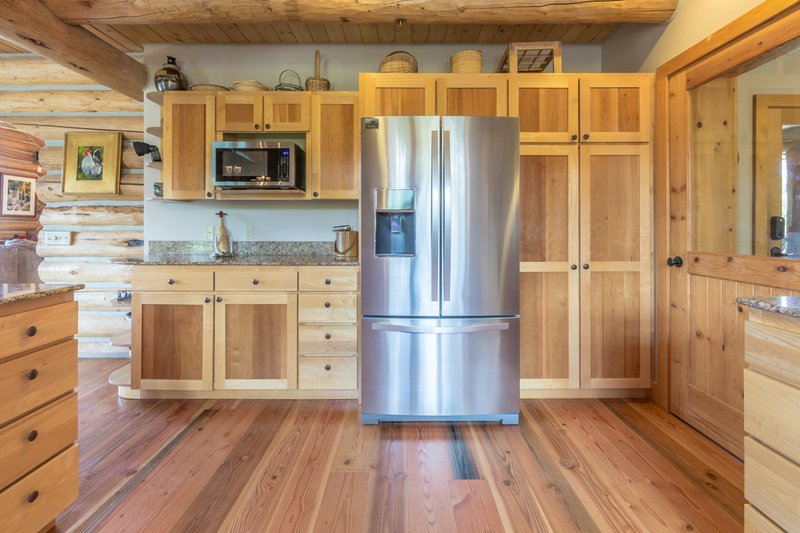 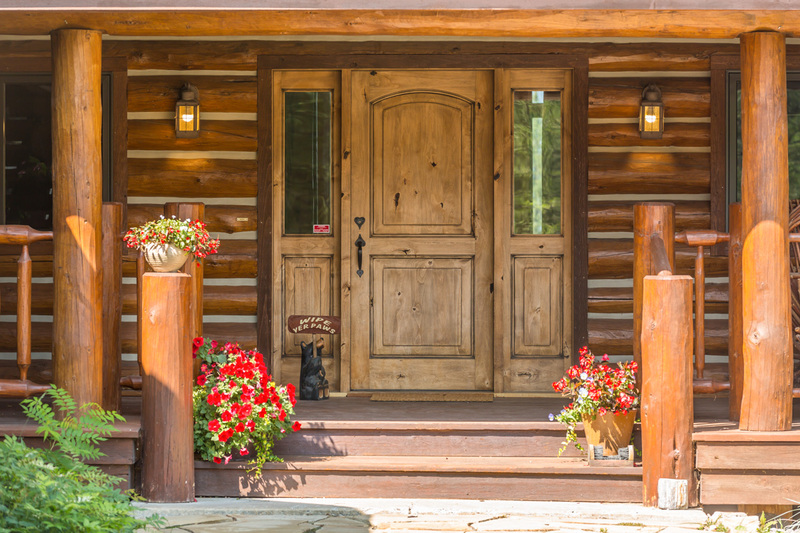 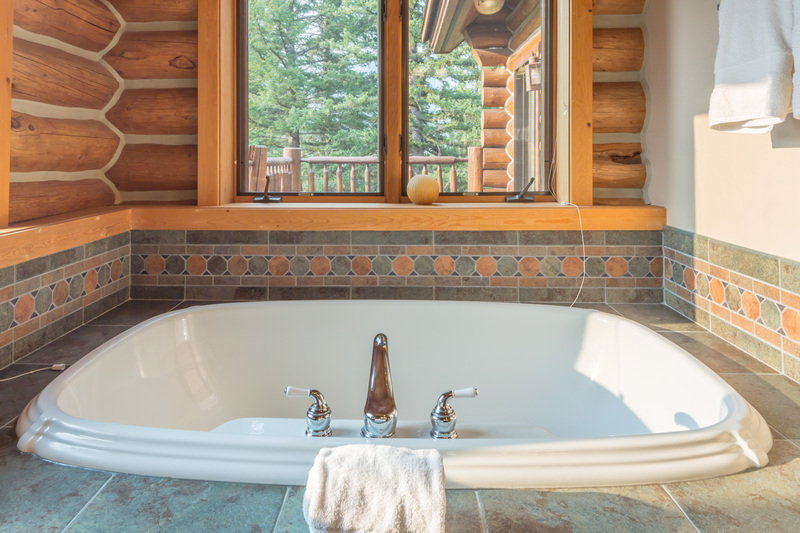 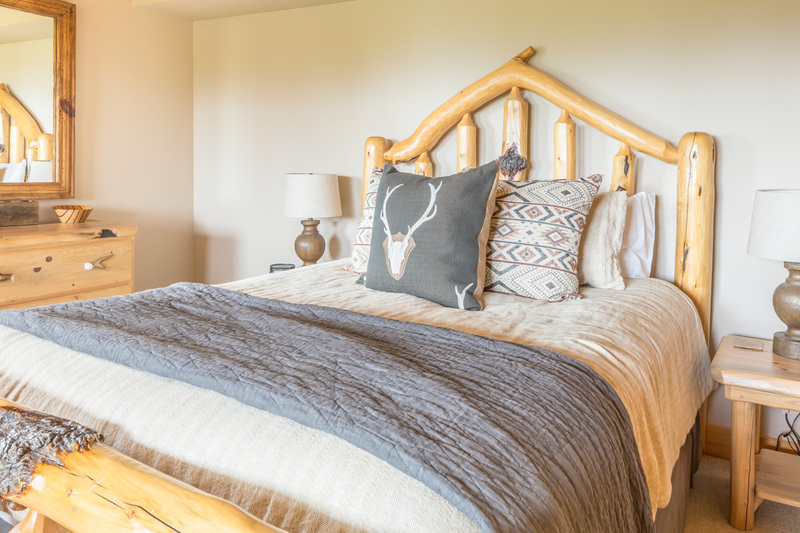 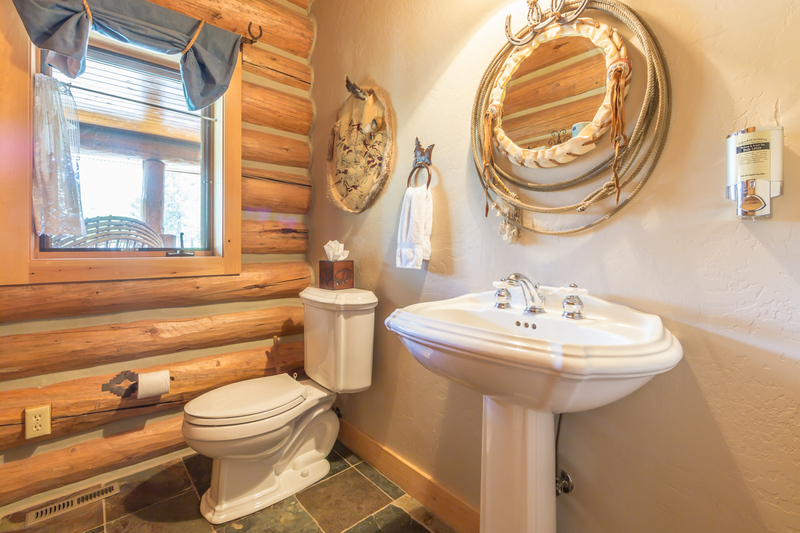 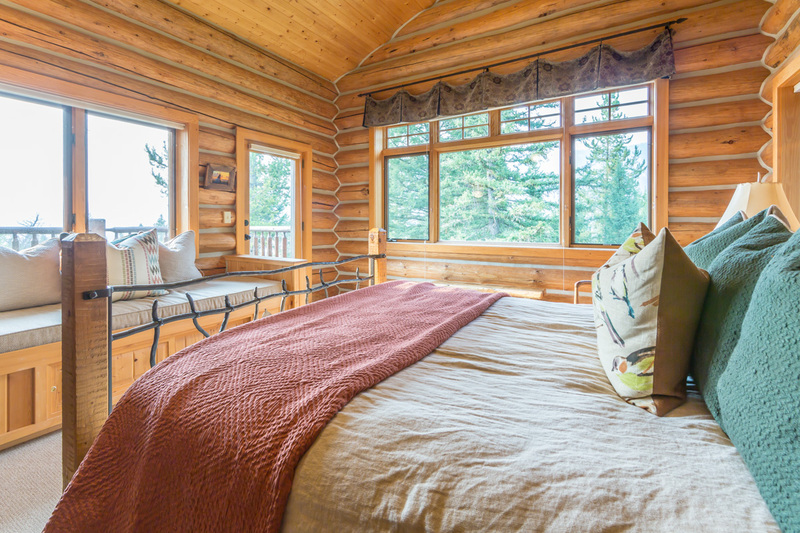 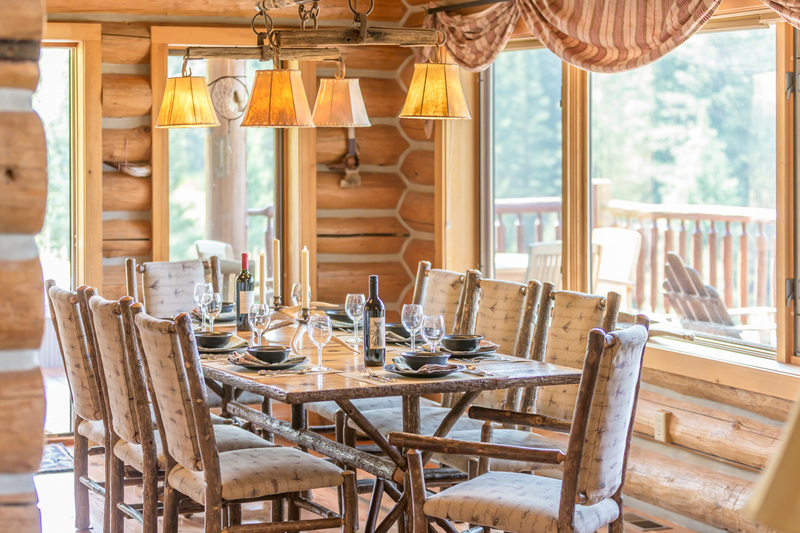 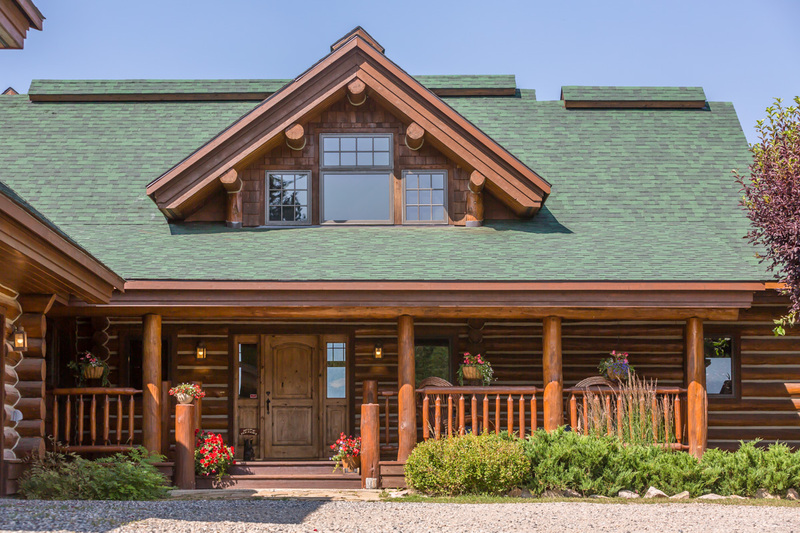 Experience the beauty of Montana's unspoiled forests with the convenience of skiing, shopping and dining just minutes away at Huckleberry Hideaway, a 4-bedroom retreat perched on a secluded ridge on a private, gated road overlooking Lone Peak. 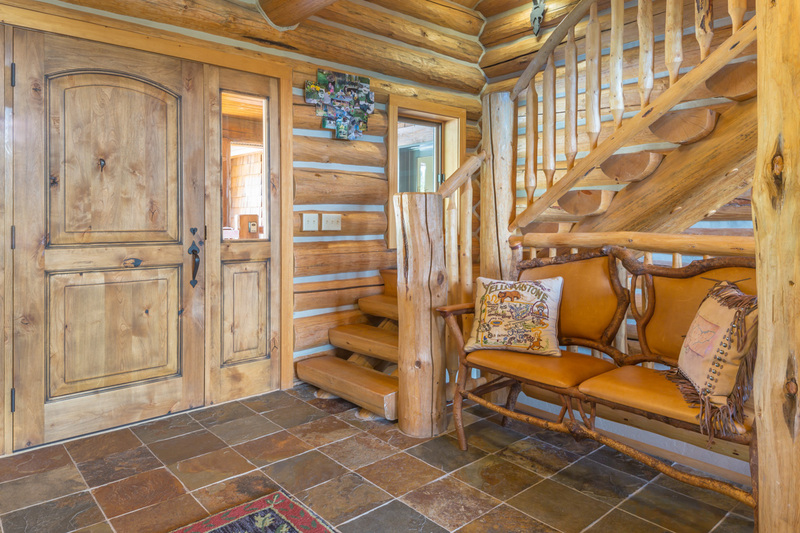 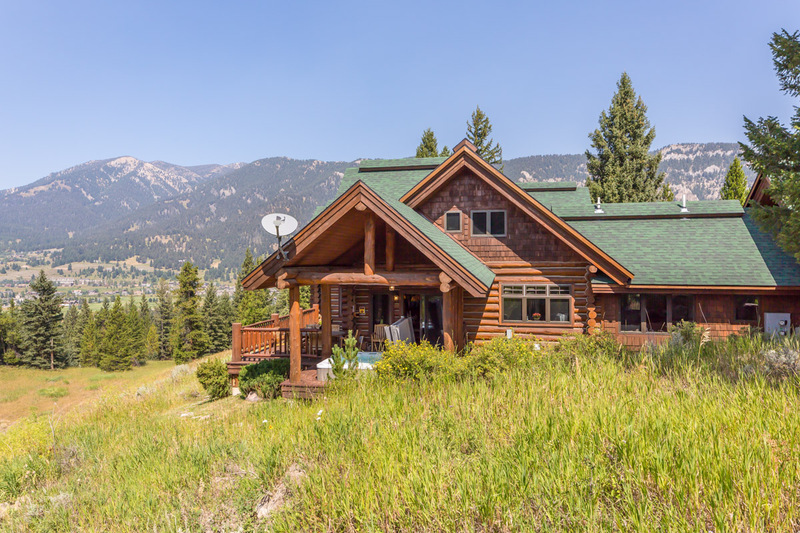 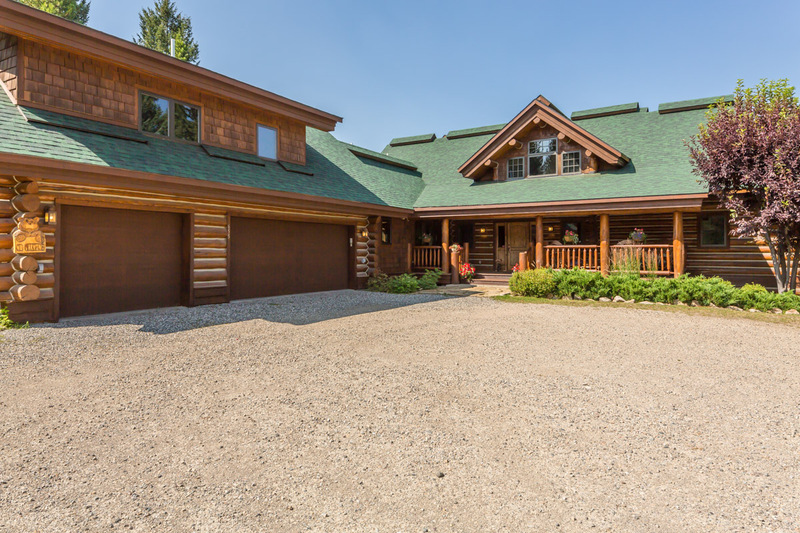 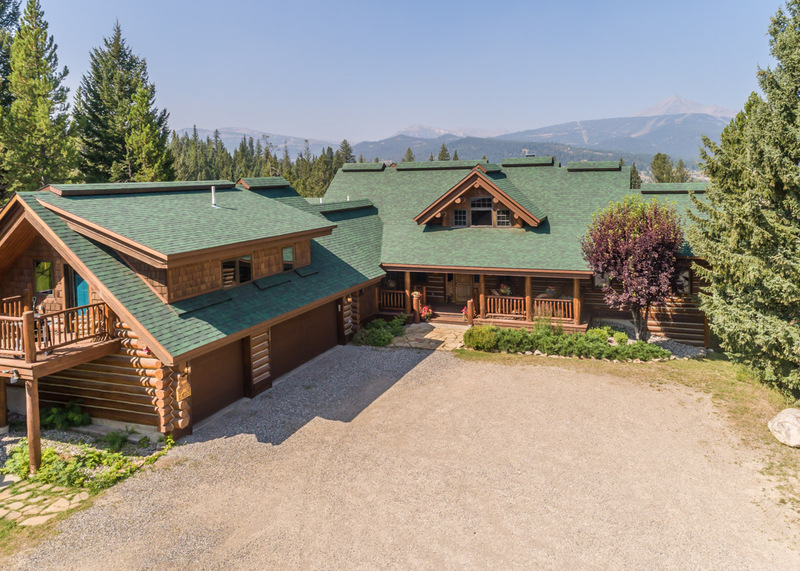 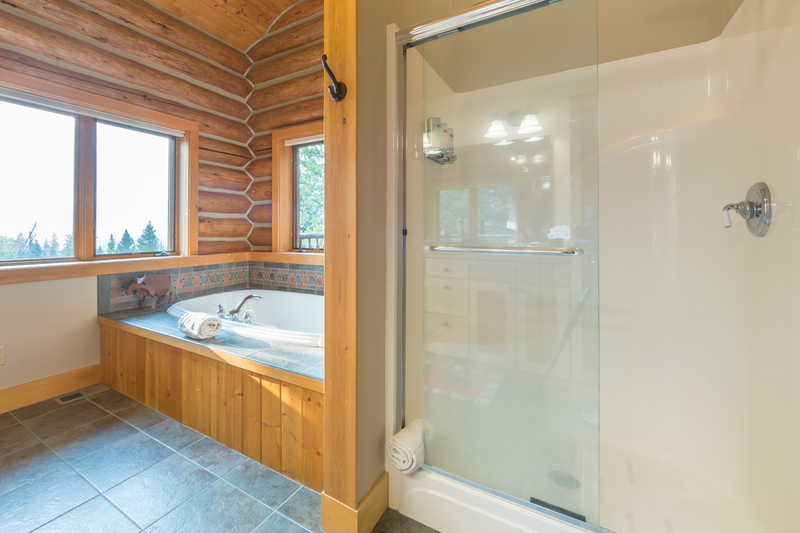 Nestled on 20 wooded acres, this home offers total privacy just 15 minutes from world-class skiing at Big Sky Resort and 5 minutes from Big Sky's lively downtown. 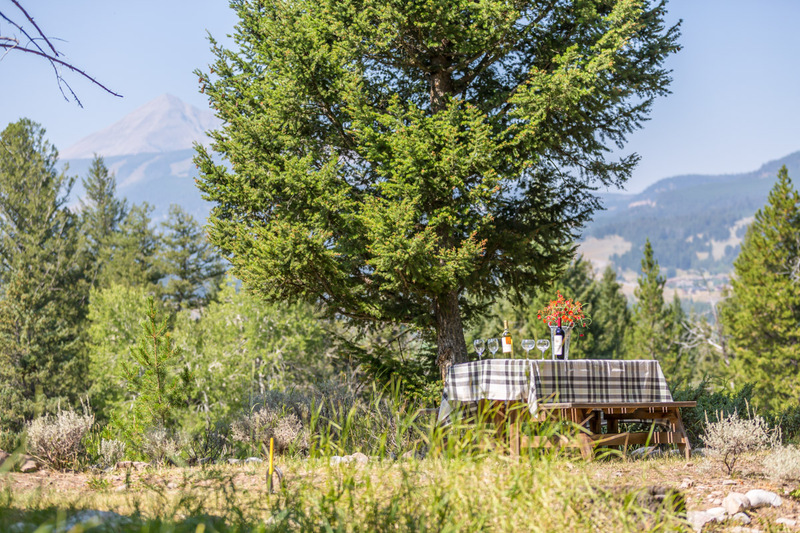 Enjoy unobstructed views of Lone Peak from wrap-around decks, a chance to snowshoe out your door through quiet meadows, and a magical opportunity to cut down your own Christmas tree. 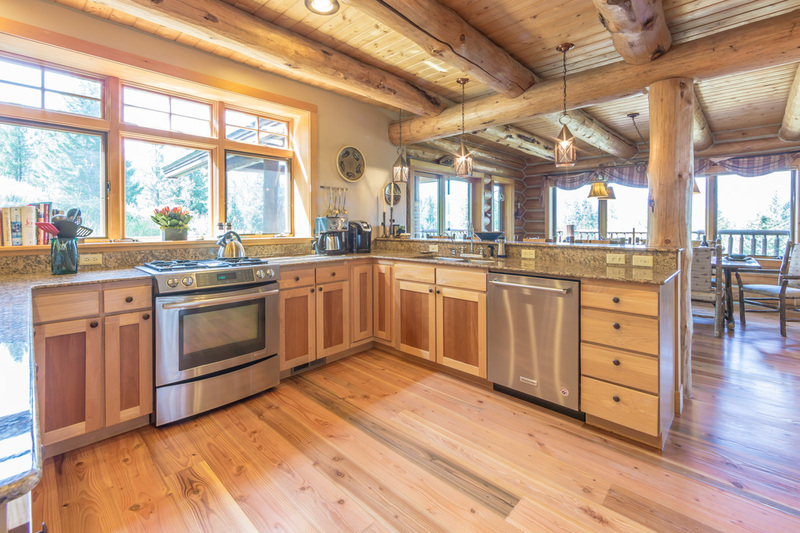 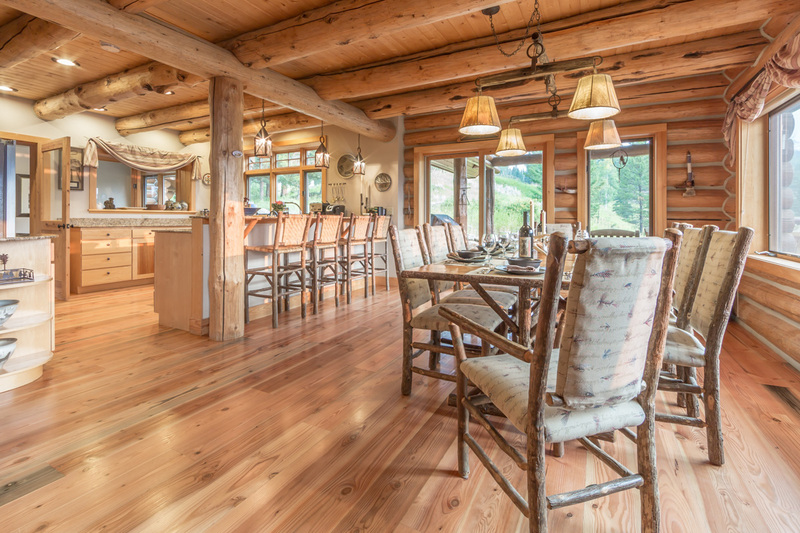 Crafted from natural timbers, Huckleberry Hideaway features high ceilings, wooden beams and large picture windows framing storybook scenery and allowing natural light to flood the living area, dining room and kitchen. 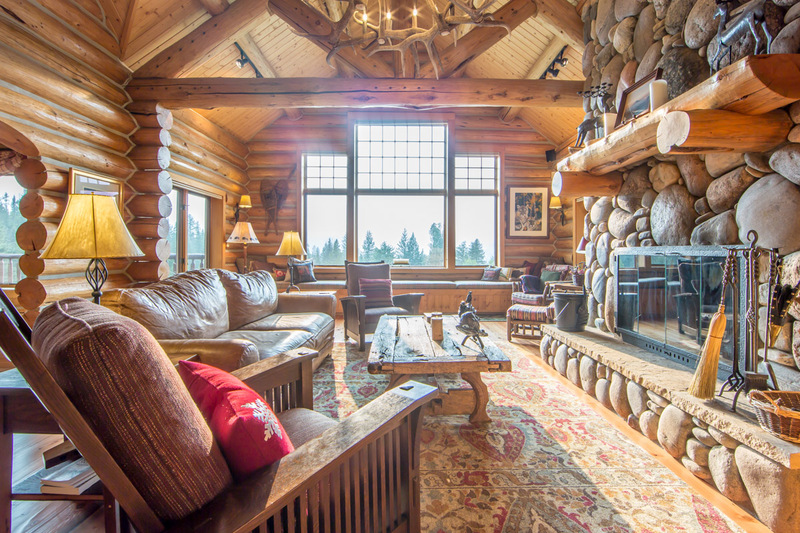 A leather sofa, comfy armchairs and a wall-to-wall window seat in the spacious living area invite you to gather and relay the day's adventures or simply take in the views. 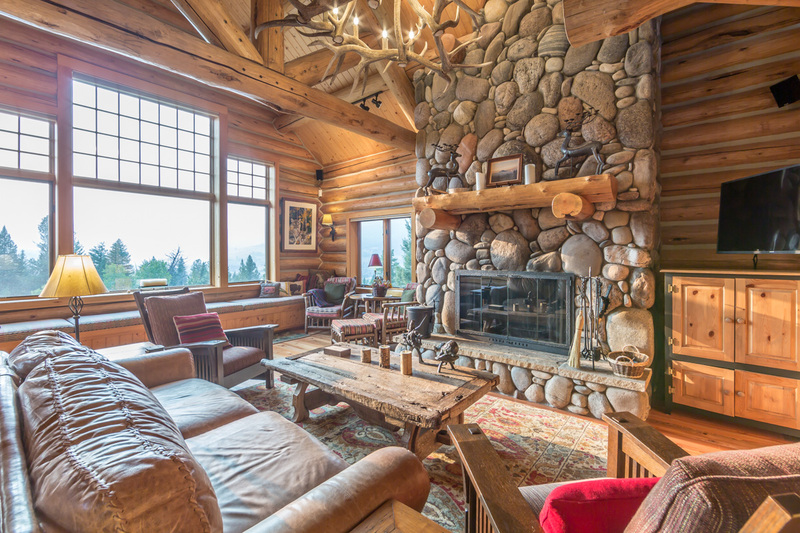 Wildlife-inspired accents, including antler chandeliers and light stands, complement hardwood floors, log furniture and an impressive floor-to-ceiling river rock fireplace. 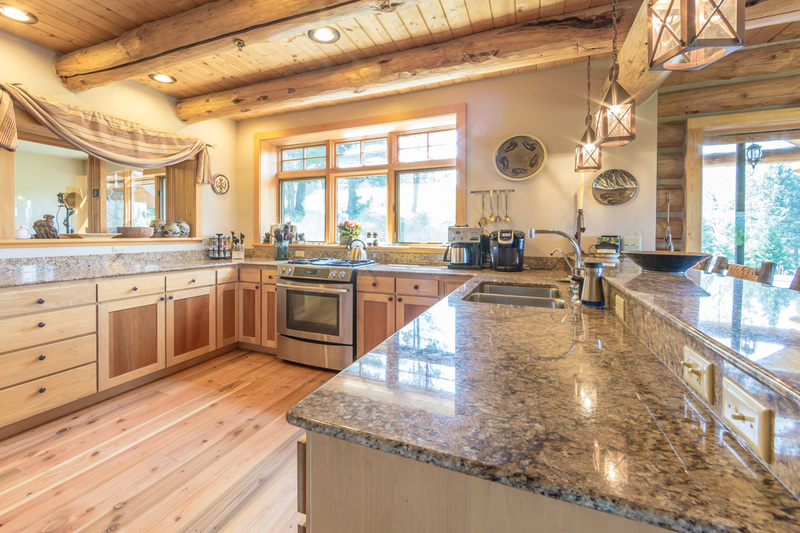 An 8-seat formal dining area and breakfast bar allows plenty of room for homemade dinners, cooked with ease in the gourmet kitchen, which boasts granite countertops, stainless steel appliances and a 6-burner gas range. 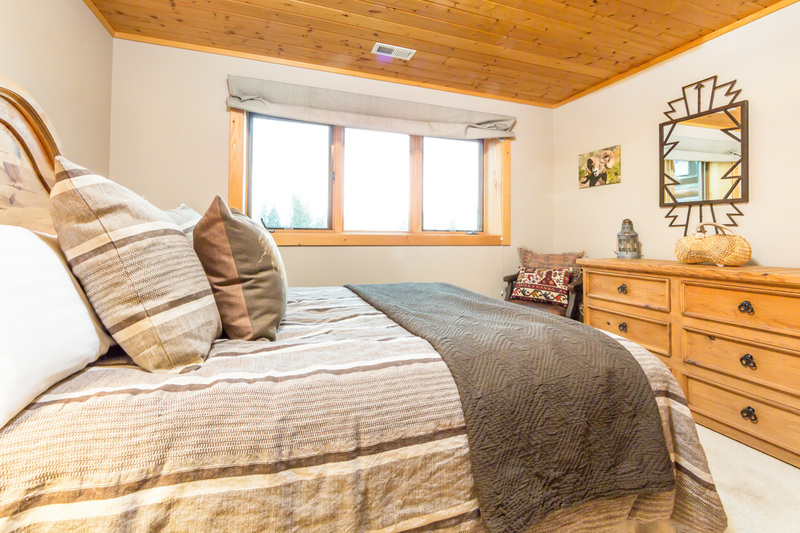 The main level also features a spacious master bedroom with a queen bed and en-suite bath with a soaking tub overlooking the woods outside. 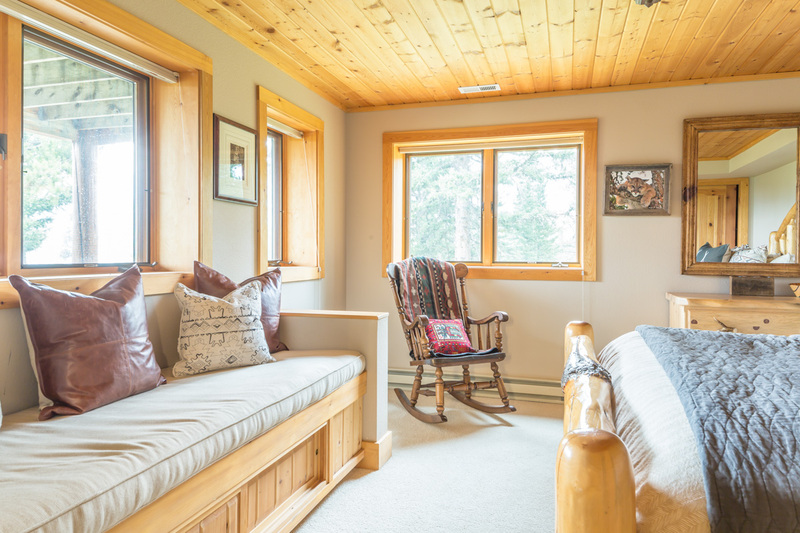 A comfy armchair and window seat provides extra space to lounge, or you can take in the views from a private outdoor seating area. 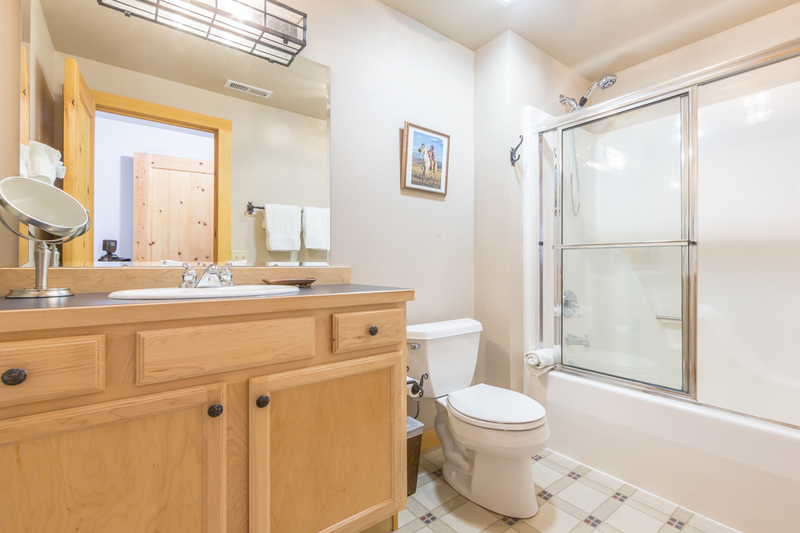 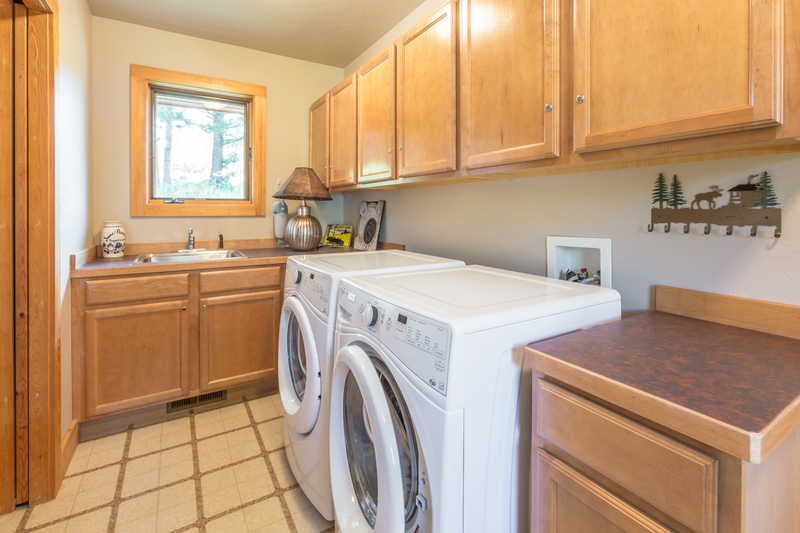 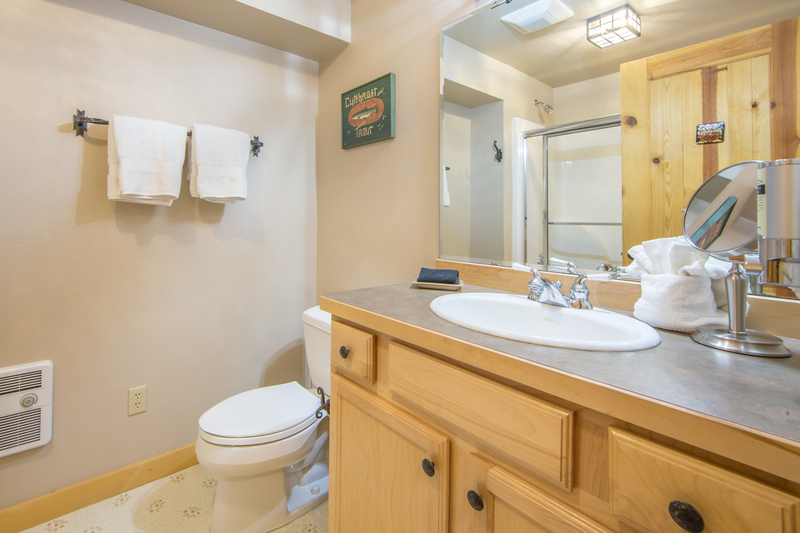 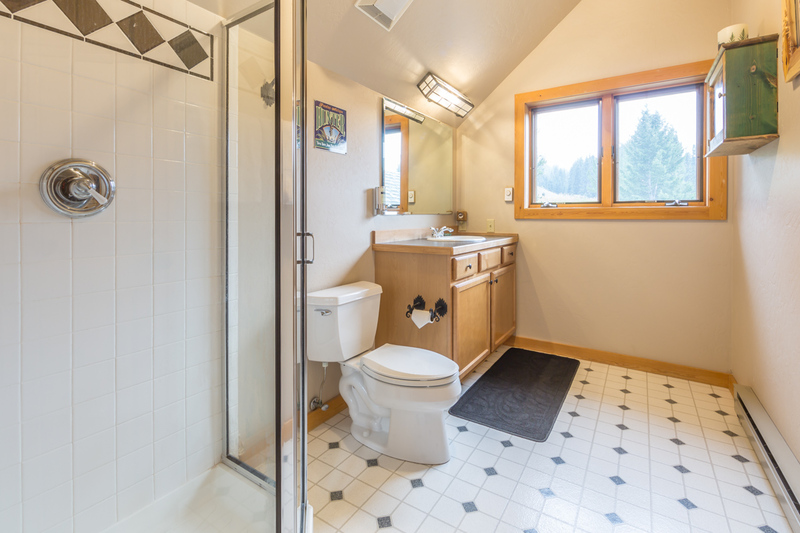 Two additional bedrooms with queen beds are located on the lower level, one with a private bath and the other with a shared bath in the hallway. 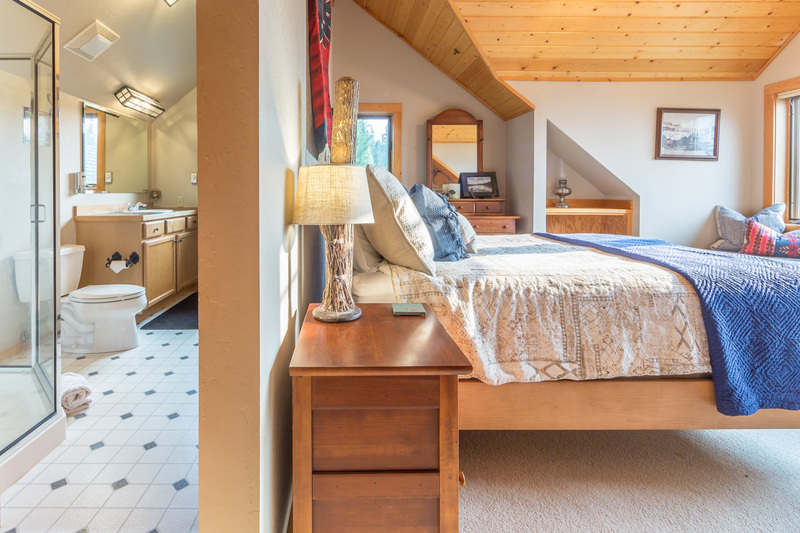 The fourth bedroom, located on the upper level, has a queen bed and private bath. 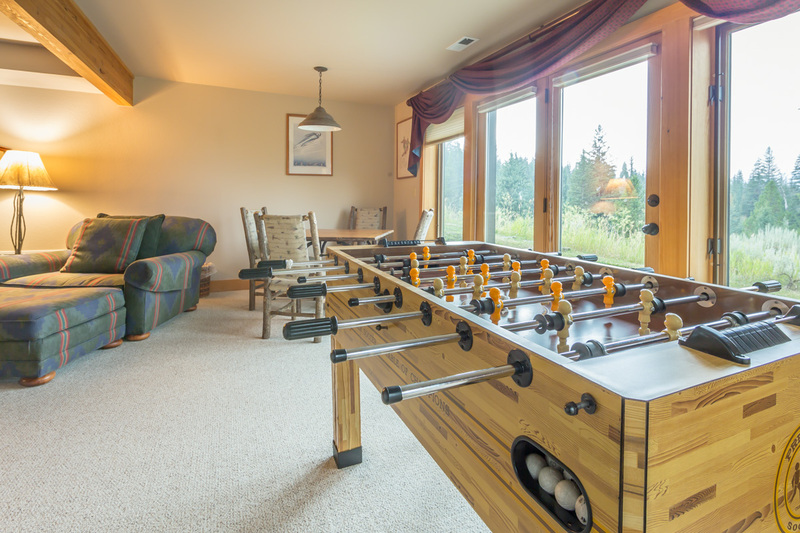 This level also features a private loft with a queen sleeper sofa. 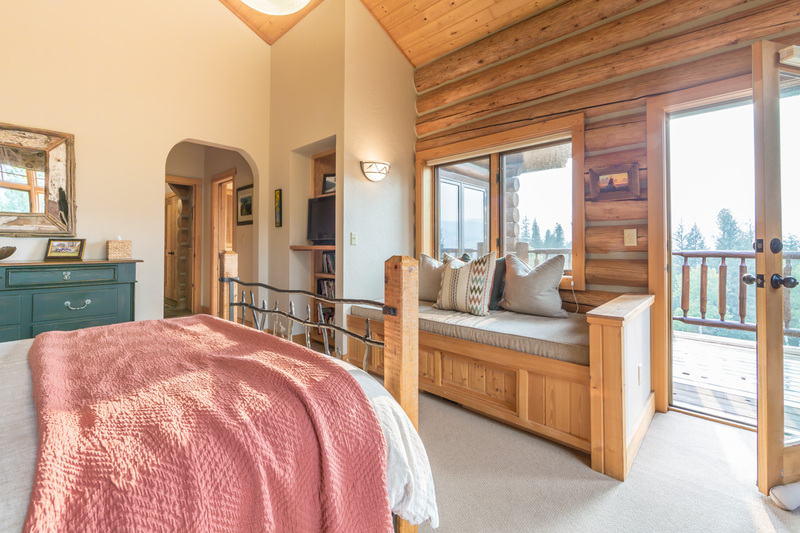 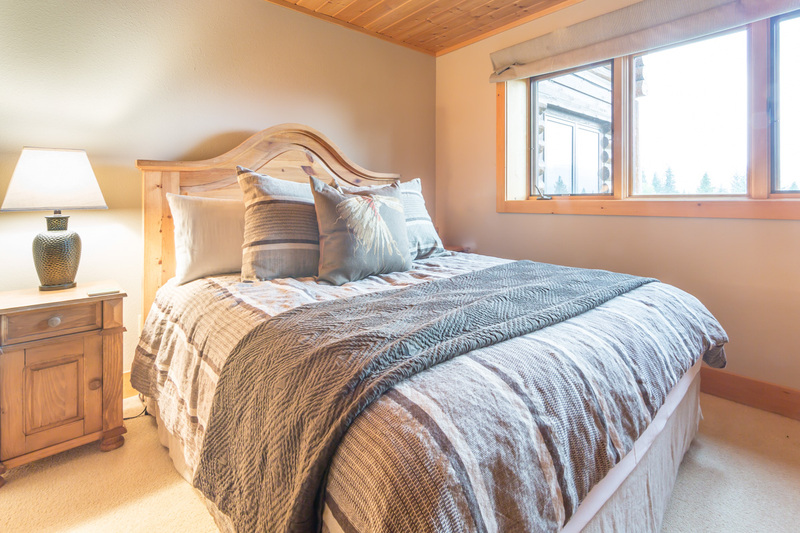 Every bedroom offers views of Lone peak with beautiful sunrises and sunsets. 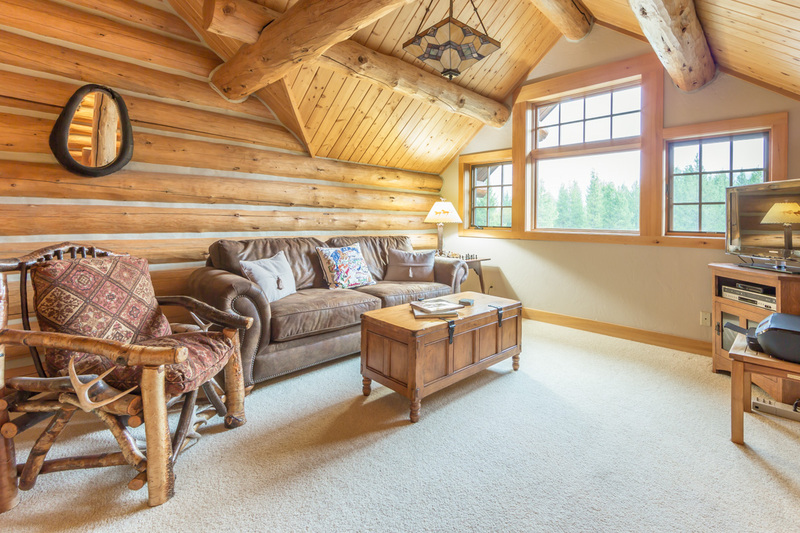 You'll also find an additional queen sleeper sofa in the lower level family room, allowing the home to comfortably sleep up to 12 guests. 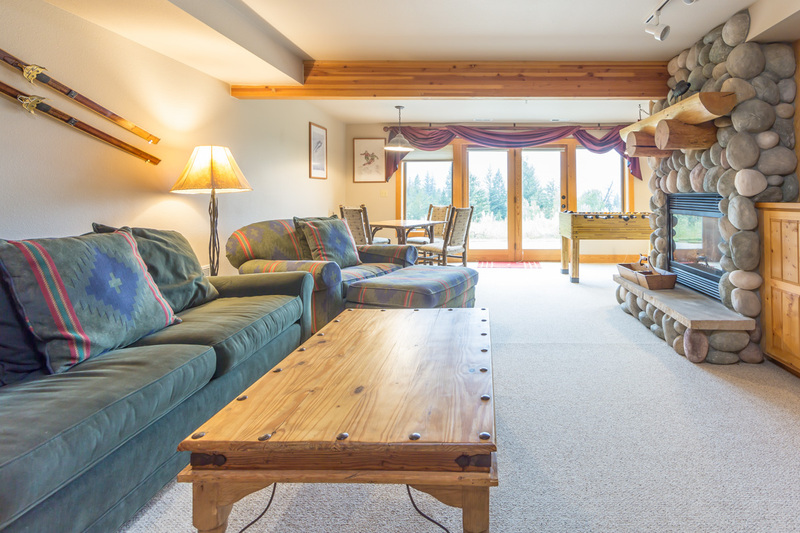 Ideal for rest days off the mountain, this room also boasts a plush armchair, river rock fireplace and foosball table. 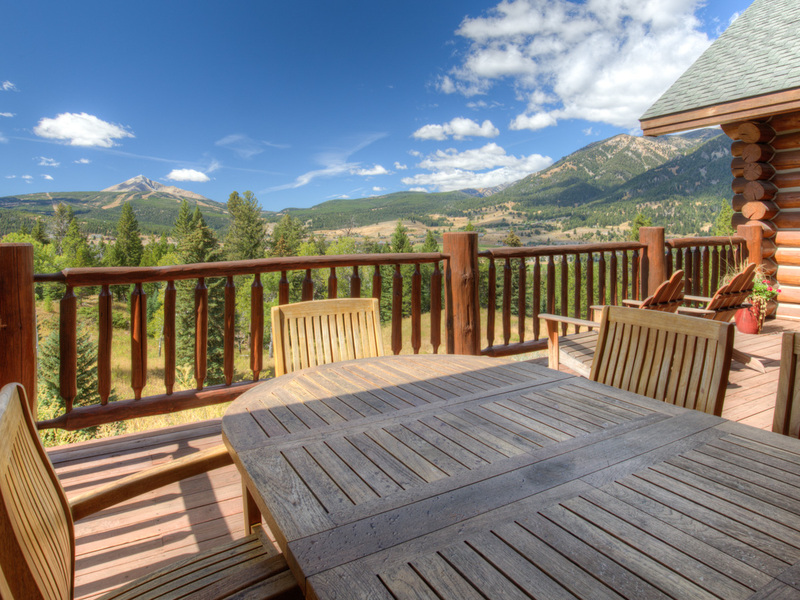 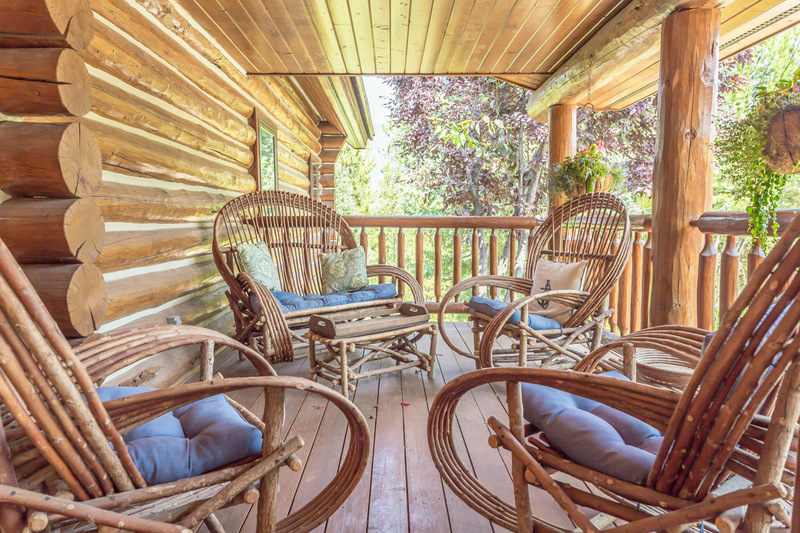 Just outside is a private deck with tranquil scenery and mountain views. 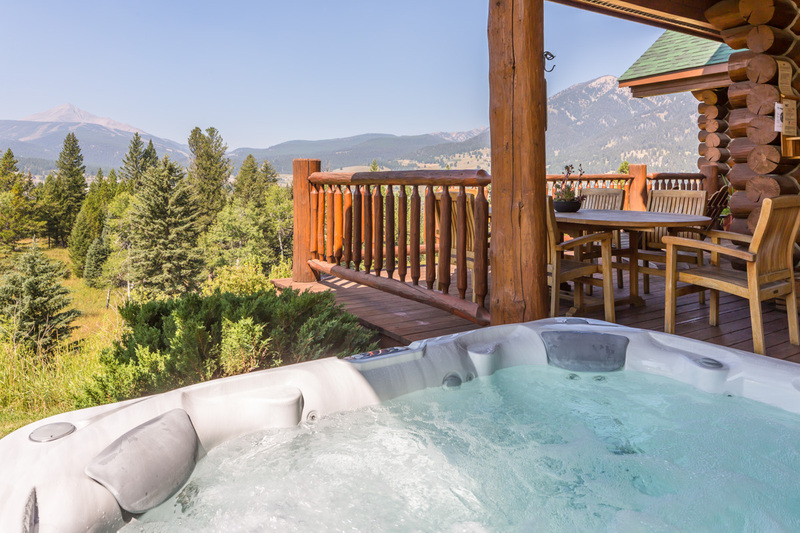 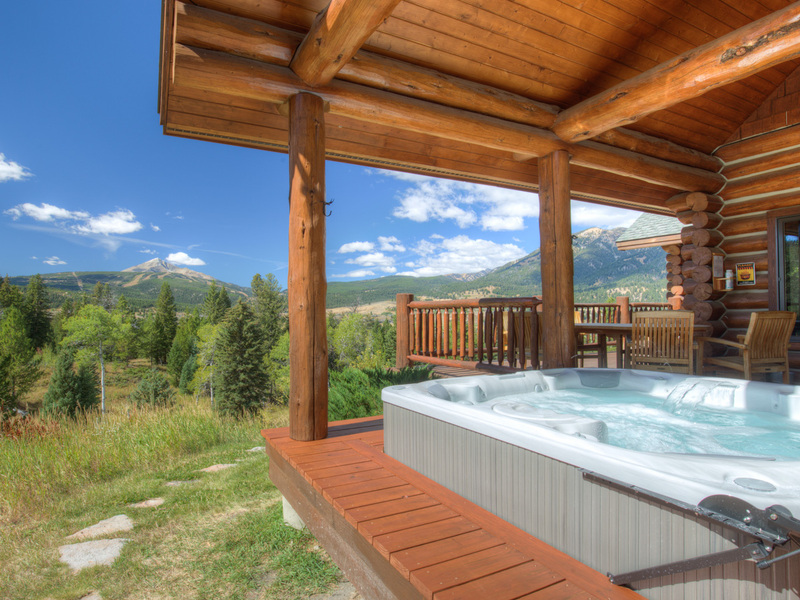 You can also take in Lone Peak from a private wrap-around deck off the living area, which offers ample outdoor seating, including Adirondack chairs, or during a soak in the private hot tub. 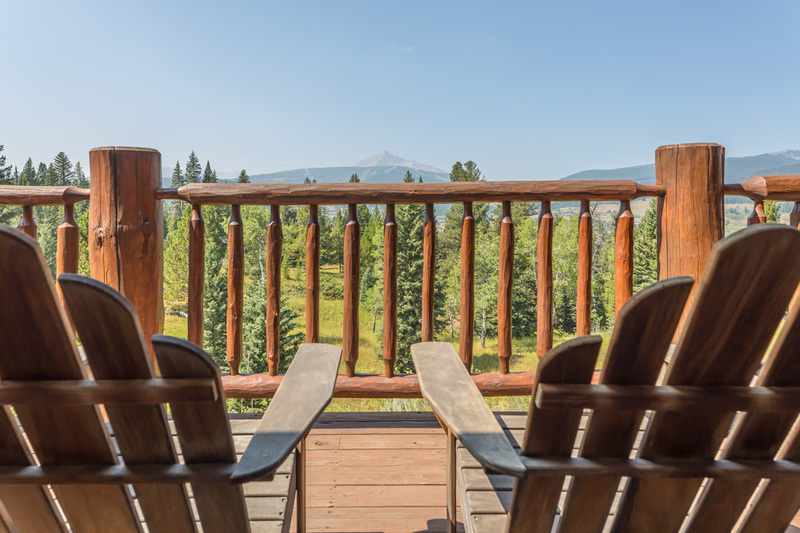 From the front porch, cozy willow chairs provide an ideal perch to keep an eye out for your only neighbors -- a herd of elk or perhaps an ambling moose. 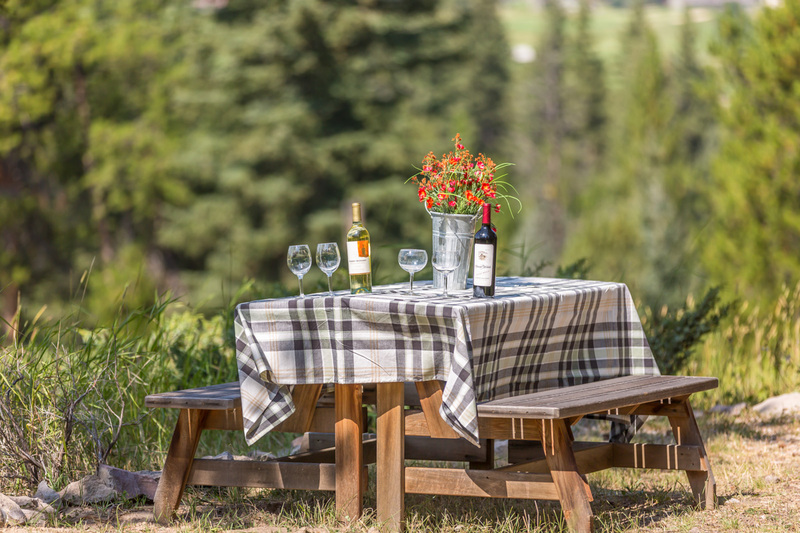 Savor family-style BBQ meals at in the properties scenic picnic area. 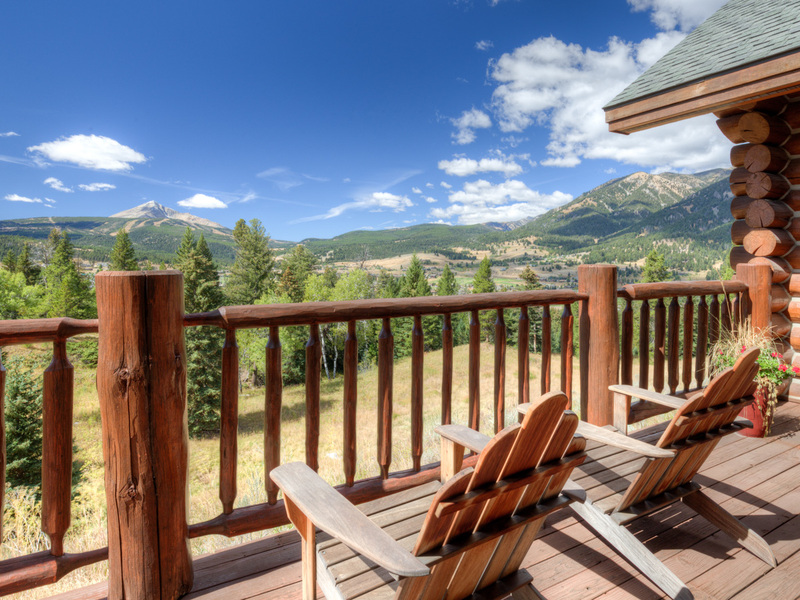 With parking for three vehicles, including one covered space in a single-car garage, groups have the freedom to split up and explore Big Sky's surrounding areas at their leisure. 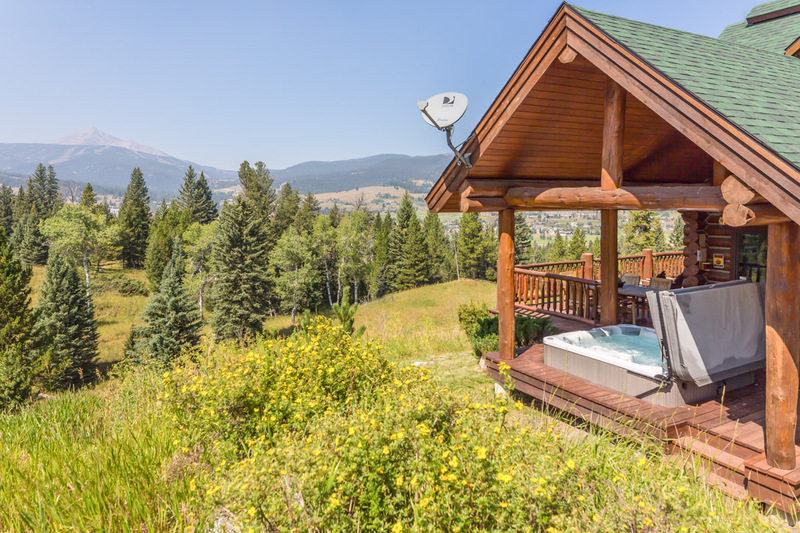 Just minutes away you'll find skiing & snowboarding, Nordic skiing, dog sledding, golf, fishing, rafting and hiking, offering year-round adventure. 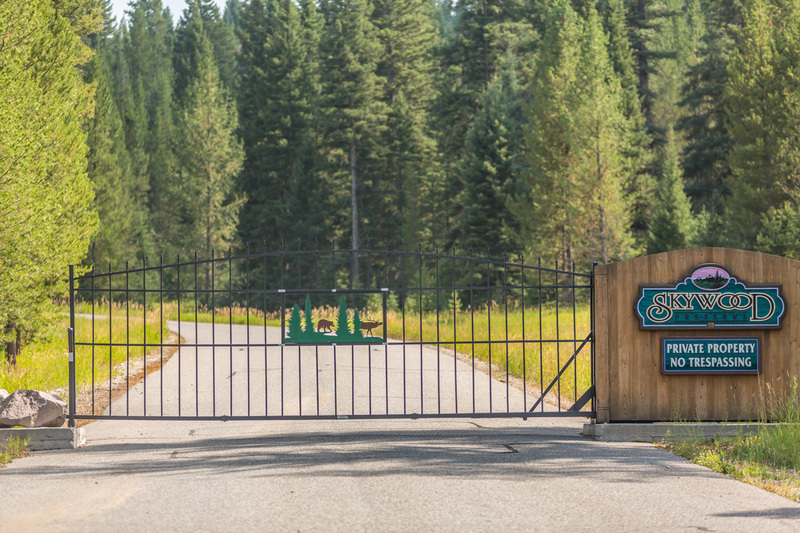 For an easy day trip, the West entrance of Yellowstone National Park is just a scenic hour away. 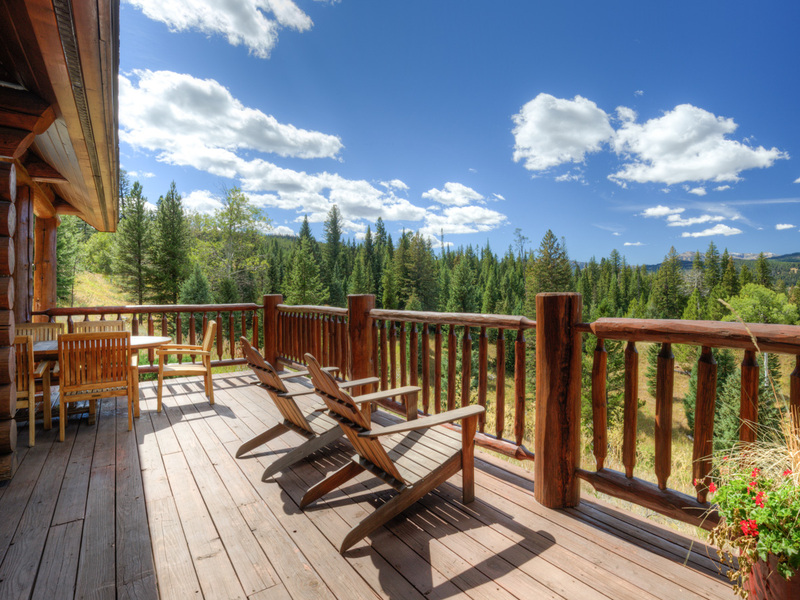 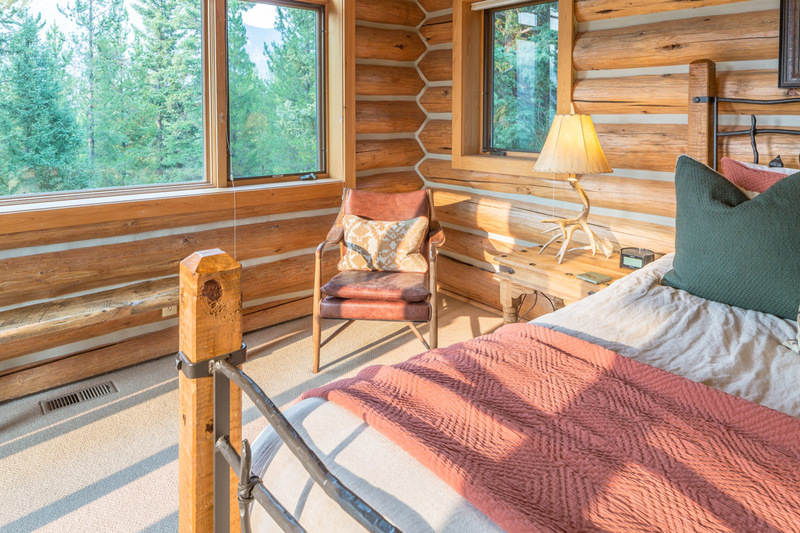 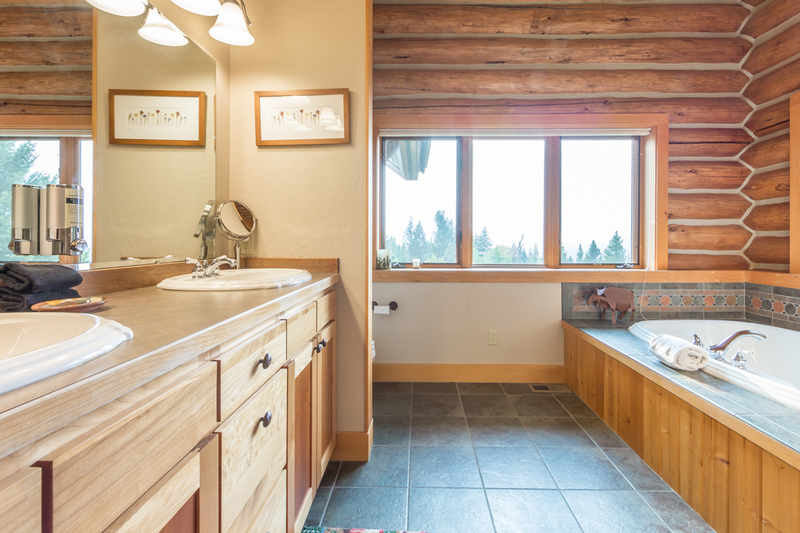 Whether you're visiting Big Sky for the skiing, hiking, Yellowstone or the mountain town culture, from outdoor summer concerts to farmer's markets, Huckleberry Hideaway offers a tranquil escape just minutes from downtown with breathtaking views and total privacy.